Oysters are spectacular to eat and rewarding to ponder. But as a subject for visual artists, the bivalves aren’t so hot. Jiggly, organ-dominated oyster bodies have gotten the better of so many painters and photographers that the food is very nearly absent from the Southern art canon. And much the same is true of other beloved regional dishes, as curators at Myrtle Beach’s art museum discovered after compiling a list of foods they wanted represented in an upcoming show devoted to depictions of Southern cuisine. Olson and her colleagues turned up plenty of images of fruits, vegetables and cakes. 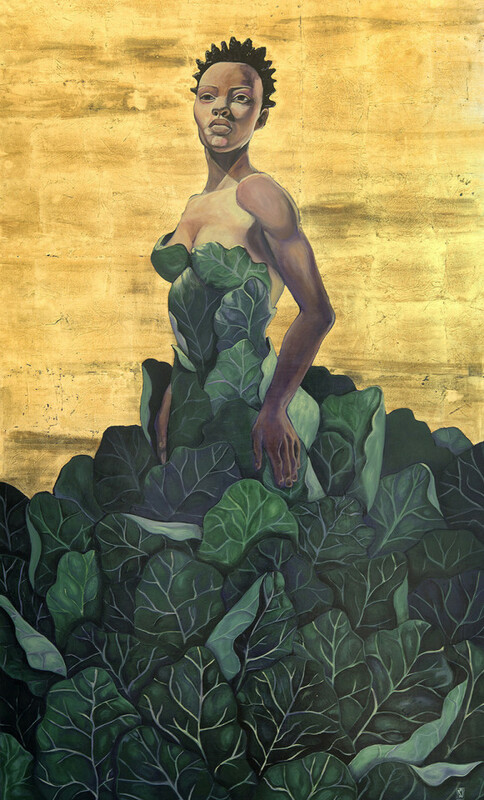 But in order to populate the show with the full spectrum of Southern food, they in some cases had to look to artists living beyond the South and commission new pieces from established Southern artists. When “Celebrating the Art of Southern Food” opens on June 10, its 100 works will include paintings of bagged boiled peanuts, a Charleston soup bunch and still-wrapped Moon Pies, cast-iron skillets, a bejeweled version of a KFC chicken bucket and a ceramic toaster with an illustration of pie glazed on its side. There isn’t a birthday cake in the mix, but the show is the museum’s way of marking that 20 years have passed since it first opened its doors. “We wanted to do something really kind of special,” executive director Patricia Goodwin says. Despite the intense interest in Southern food, museum officials believe “Celebrating the Art of Southern Food” is the first exhibit to explore the theme. They readily acknowledge they’re doing so in an upbeat way, as the title suggests: “It’s first and foremost a celebration,” Olson says. Instead, the exhibit was designed to stir up nostalgia and evoke appreciation for the South’s beauty and bounty. “The Chamber of Commerce was talking about wanting to make Myrtle Beach a food town, so that’s really how it started,” Goodwin says. Museum staff members have learned that summer tourists generally aren’t in the mood for intellectual challenge: They still talk about the year they made the mistake of mounting a Jasper Johns retrospective. More successful exhibits have featured Norman Rockwell, Ansel Adams and Green. “He’s always popular,” Olson says. To round out the fun of the food pictured on the walls, the museum has scheduled nine lectures in conjunction with the exhibit; stocked its gift shop with Short Stack Edition small-format cookbooks and Bulls Bay Salt; and created a children’s play area with a miniature farmers market. As for the art, it’s distributed among six rooms, each of which has a different culinary focus, ranging from fast-food brands to barbecue. Even grits have a place in the show, although curators never did locate all of the two-dimensional works they originally envisioned: They went with documentary filmmaker Stan Woodward’s “It’s Grits.” As for oysters, they’re represented by South Carolinian Chris Williams’ oyster knives, as well as three paintings by Amy C. Evans.